When I’m at the supermarket and I need to buy house cleaners, laundry detergent, or dish washing liquid, my hand reaches for Seventh Generation products. I could be thinking about the upcoming weekend’s plans or about the Boston Celtics while walking blindly down the aisle. No matter. I’ll invariably pick up the Seventh Generation brand. It’s as if my body is on cruise control. The purchase decision is being made without a conscious, intentional effort, which is not surprising given that 90% of purchase decisions are made subconsciously, according to Nielsen. So, if all this activity is occurring without my focused attention or control, what exactly is going on? What’s triggering me to be so adamant about the Seventh Generation brand? A brand can be defined as how your customers think about and describe the brand. An essential component of that is what’s called Brand Associations – elements that are thought of in direct connection with the brand. This can be visual elements such as logos, colors, fonts, photography, look & feel, etc. It can be text-based such as the brand name itself, tagline, ad messaging, and mission statements. You may see the product packaging or the company website or an advertisement, all building associations in your mind. The mental association is powerful and consistent with Seventh Generation’s core mission of changing the world through the everyday products consumers buy. However, Brand Associations go much, much further than this. Everything that Seventh Generation does in its marketing reinforces and strengthens its brand identity. Whether building “sustainability academies” or setting up clean nursing pods for mothers traveling with babies at major airports, the company builds unique association after unique association all with the same underlying brand identity and promise. The company spearheads social and political rallies in support of safer environmental laws. It’s currently pushing Congress for the passage of the Cleaning Product Right to Know Act, requiring full disclosure and product labeling of household and institutional cleaning products. The company even brought 120,000 signatures to Congress to fight for safer chemicals a while back. Last year the company launched the #endthetrend campaign centered on eliminating single-use plastic bottles. This year its partnering with The Cancer Fund in promotion of Breast Cancer Awareness month, and delivers breast cancer prevention tips through its social media channels. The Seventh Generation Fund provides grants to organizations that are helping to improve the world. Even internally, every year the company presents awards to employees who most embody the core values of: Collaborate Deliberately, Innovate Disruptively, Care Wholeheartedly, Be a Trusted Brand, and Nurture Nature. Its partnership with The Lorax movie (Seventh Generation diapers are “Lorax Approved”) extends the brand’s reach into the mainstream further while being 100% true to the brand. For those with a funny bone, Seventh Generation has sponsored the Ellen Show on Earth Day. When talking about Brand Associations, remember to think far beyond your logo, corporate colors, and tagline. Think big. Think Lorax and Ellen! Consumers are emotional beings. Although people believe that they are in full control of their purchases and filter all of their decisions very rationally, the truth is that they decide what they’ll purchase with their hearts first. They then rationalize the purchase. Our brains contain approximately 100 billion neurons, and our memories are formed by synapses (connections) among these neurons as information enters our brain. Each person’s brain utilizes trillions and trillions of these synapses, and the process includes the capture of all of our senses. This makes it easier for us to remember specific elements of specific experiences, even though our eyes, and therefore our brains, are constantly deluged with information. This makes it easier for us to remember that Seventh Generation always has green packaging, or is petitioning the government for safer product requirements, or is associated with The Lorax. The mental associations one has with a brand evoke an emotional reaction, resulting in the formulation of that person’s definition of such brand. 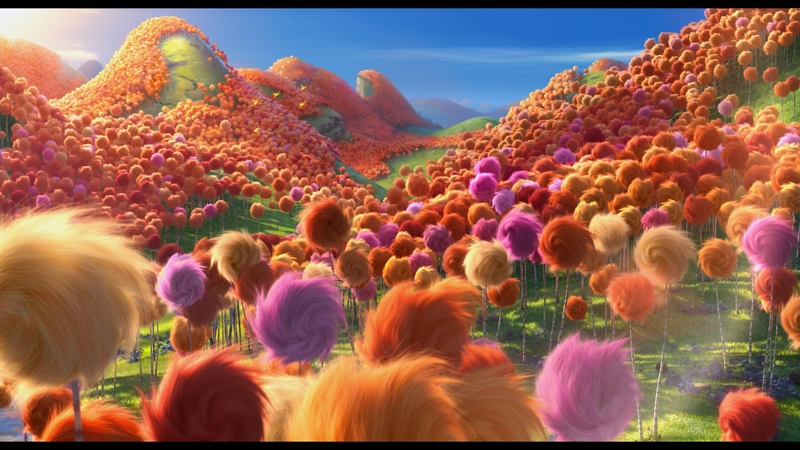 When I think of Dr. Seuss’ The Lorax now, my mind also naturally thinks of Seventh Generation. When I think of the SG brand itself, I automatically envision all the petitions and campaigns the company runs to improve the world around us. As my brain takes in all the associations that Seventh Generation has built through the years, I have deeply felt emotions and a crazy loyalty to the brand, even though in reality I’ve never met anyone at the company nor talked with them. Seventh Generation has excelled at building the right associations, and the’ve done so in a multifaceted, integrated, and consistent way. According to InfoScout, if faced with a store visit in which the Seventh Generation product was out of stock, the majority of Seventh Generation shoppers would either select a different SG product, wait until their next store visit, or take off to a different store in search of the product. Now that’s brand loyalty! It’s not just the message of natural, nontoxic, and renewable ingredients that drives this much loyalty. Or that the company focuses its operations on minimizing its impact on the environment. The brand associations are varied, extensive, and powerful. With just about every consumer touchpoint, SG is adding new mental associations. What the company has done is built a veritable ecosystem of Brand Associations. Does building an ecosystem work? For Seventh Generation, it has led to more than $200 million in annual revenue and a roughly $700 million acquisition last week by Unilever, which is ranked number one in its sector in the 2016 Dow Jones Sustainability Index, aligning with SG’s environmental focus. The power of brand associations (together with great products, of course) is undeniable. How about your own brand? What are all the mental associations that your customers now have when they think of you? Be sure to make the investment in identifying your own Lorax.